Love can be a very fickle emotion, always doing exactly what it wants to do. Sometimes, when it comes to love, we learn from the most tragic of heartbreaks how to cope with that despair within ourselves. However, once you realize that love is something that cannot be contained, you will realize that it is one of the most beautiful things that the world has to offer. Many people forget that love is usually the answer to a majority of their problems. 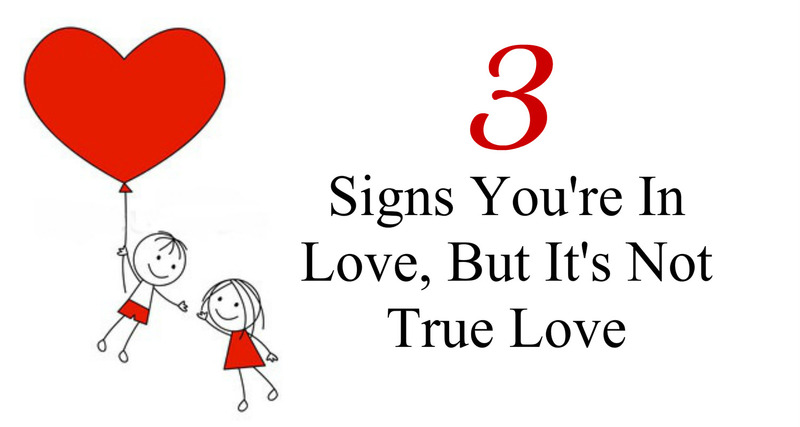 However, here's how you can recognize if you are actually in love with the person you are with. If these things describe your relationship, then it might not be love at all. If you are only with this person simply because you want to fill the desire of not having to be alone, then this is not true love. You are with this person because you can't handle being alone with yourself for more than two seconds, so you need someone else to mirror or vicariously live through the things that you've always wanted to. You may have to look deep within yourself in order to figure out why you are so codependent. You also need to realize that being an independent person from your lover is a very necessary piece of any relationship. Do you both long for the same things in life? Though having shared hopes and dreams is good for a relationship, it doesn't mean that the relationship will actually work long enough for you both to achieve those goals together. It's important to think of what you both look like together in the present moment instead of what might happen in the future. You will be much more grounded if you live your life day to day with them, fulfilling any kind of happiness that you both see in each other. If you both do end up lasting longer than expected, then good for you! However, don't take it personal if it ends up not working out. Just because this person can make you feel good doesn't exactly warrant a good reason for you to fall in love with them. Yes, we all love those touchy-feely emotions we get when we are first meeting someone, but realize that those feelings may be yours and yours alone. It's important to enjoy yourself while you have those emotions, but know that they are not worth falling in love with someone over. Take your love in stride, just remember that they are happy to be with you; put your friendship in front of everything else. Hopefully this has given you some insight into the world of love and what it means to be in love with someone. There are some little things here and there where it can prove to be difficult to manage a relationship, but just as long as you keep moving forward, then you will do just fine.